It's easy getting into a costume all on your own and heading out there this season to party like a champ, but you know what’s a lot more fun than going solo Halloween night? 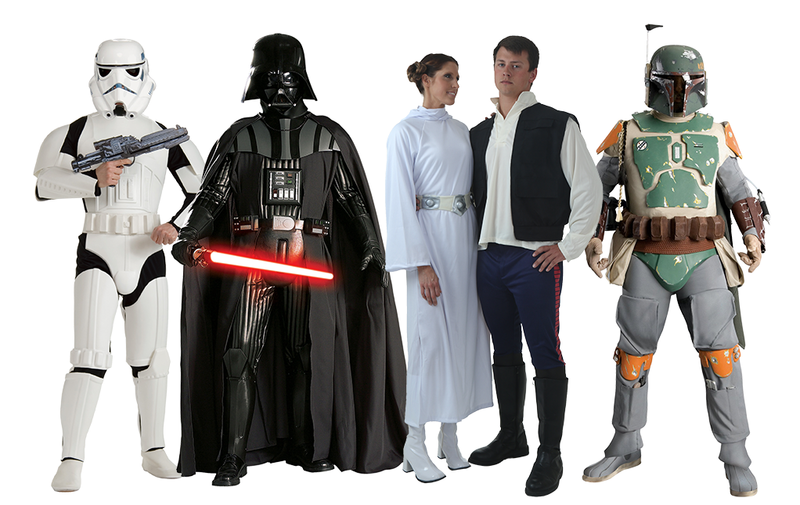 Going out with all of your best friends, family, and co-workers together in a coordinated mass of costume awesomeness. That's right... a group costume! Luckily, we have a ton of group costume ideas for you. 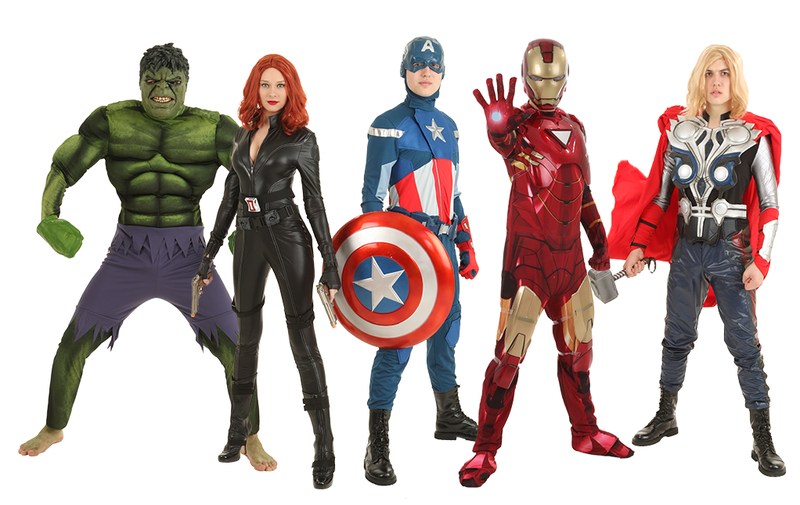 So, if that sounds like a big task, don't worry, because we're going to help you out with our huge selection of group costumes, hand selected to showcase the best your whole squad has to offer. Some families just love to hop in the car with the family pet and see a movie at the old drive-in… and what’s better after a long day at the quarry? 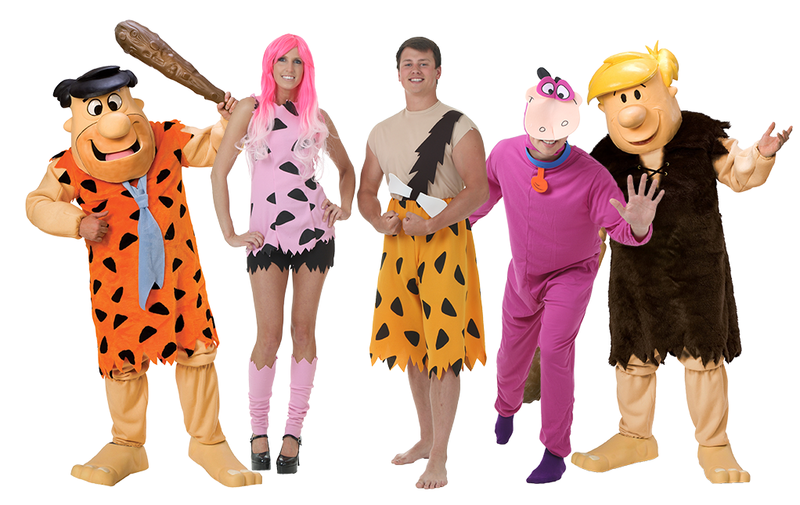 If you’re a close family then we think a Flintstones group idea is perfect for you. Fred, Wilma, Pebbles, even Dino can get in on the Stone Age fun. Just watch out for the dishwasher. He’ll try to tag along, but you tell that warthog to get back under the sink until you get home! Do you and your friends or family love nothing more than to sit down with a controller in your hands and play video games all night? 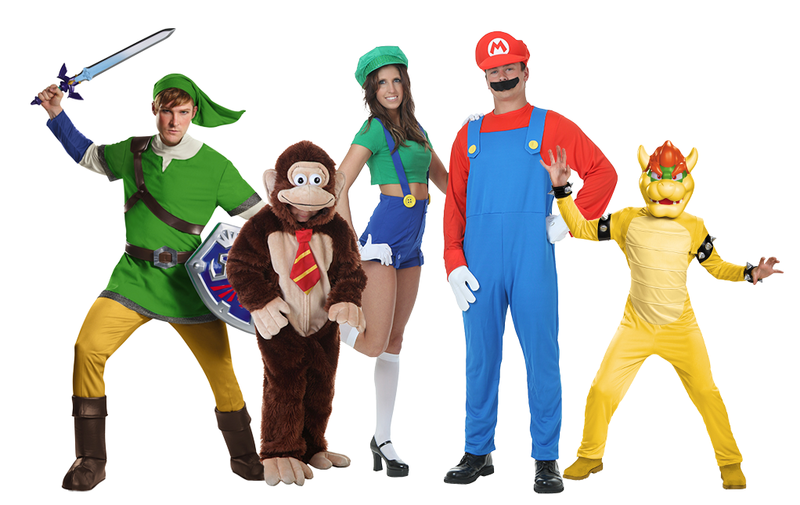 While staying in to play video games on Halloween might be tempting, we think you’re going to love this Nintendo group idea so much you’ll be compelled to head out and party, Mushroom Kingdom style. But Mario isn’t the only one having fun here; we got Link, Donkey Kong, and tons more that you’ll recognize from the world of Nintendo. So, whether you all go on an epic quest to have the best Halloween ever, or you just hit up the local go-kart track, we think you’re going to love these costumes. Just don’t let anyone throw down a banana peel on the track. Those are so annoying. 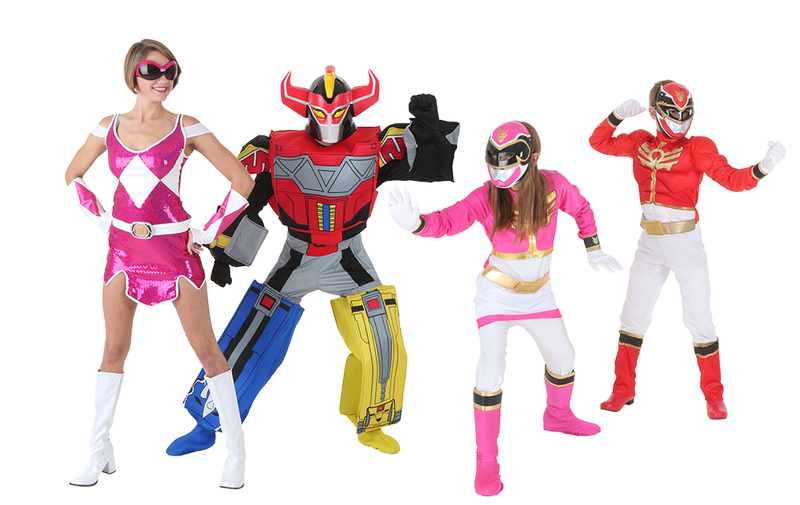 Power Rangers Group Costumes: Go Go Power Rangers! If you’re that family or group of friends that love to get together over a nice hot pepperoni pizza, then you already have a ton in common with the Teenage Mutant Ninja Turtles. Sure, you might not know karate, kung-fu, or how to use a Bo staff, but you know how to eat a pizza like a bonafide TMNT. And you’d be surprised how easy it is to look cool with a pair of nunchuks, assuming you don’t whack the back of your head accidently. 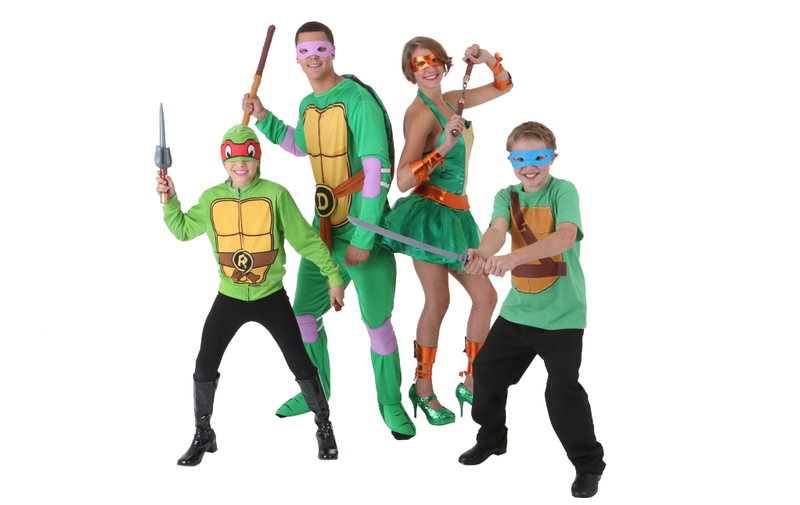 Since there’s four turtles, it makes a fantastic costume group idea, and even if you have one more, there’s no reason not to add Shredder or Splinter into the mix. Just watch out for that ooze… it totally has a secret.